The maintenance absorbent roll is a no fuss and convenient way to contain and absorb a variety of industrial liquids, including non-aggressive oil and water-based fluids. This general purpose absorbent acts fast and has excellent fluid retention and strength, even when saturated. 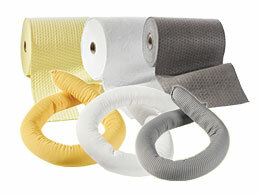 The Workplace Depot is excited to offer the Maintenance Absorbent Roll. Its dimpled design maximizes rapid absorption, enabling the roll to quickly soak up drips, leaks and spills. What is The Purpose of the Maintenance Absorbent Roll? It is inevitable that liquid will at some stage end up on the floor during commercial and industrial projects. This product is perfect for soaking up fluids much more quickly than other options, thereby improving the speed and overall output of the team and creating an overall safer work environment. The high performance rolls absorb fluids in a variety of everyday situations and are especially useful when spills have spread over large areas. 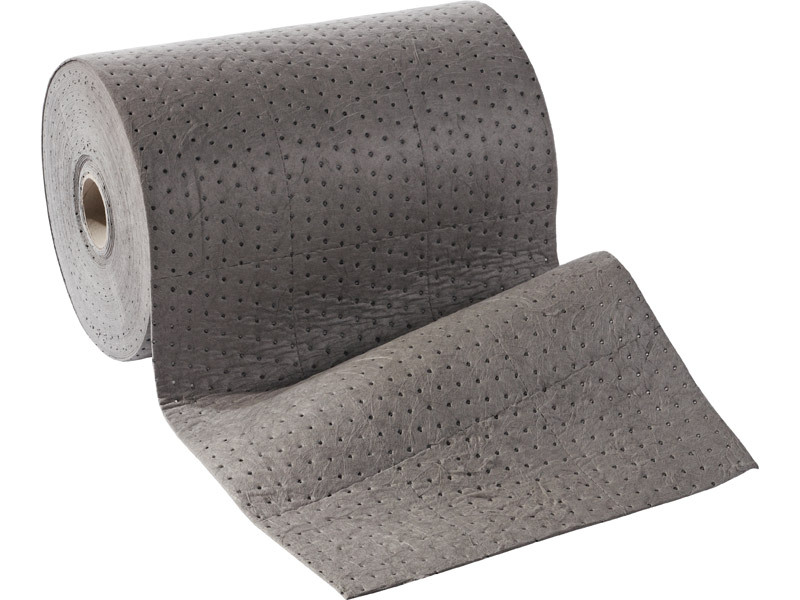 Since ensuring facilities are safe, clean and compliant is vital to success, the maintenance absorbent roll can be used in any commercial setting. Construction companies, automotive workshops and shipping yards can all benefit from having this product on hand and it is particularly useful in messy factory and workshop areas, as well as under leaky fittings or pipes and dripping machinery. Even residential facilities can benefit from having this product on hand. The rolls can be kept on standby for immediate use by all crew members and technicians when the circumstances call for it. They are practical and easy-to-use and can be wrung out and reused, making them a very cost-effective option for cleanup solutions. 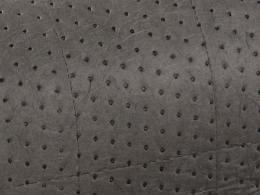 The rolls can be used on walkways or, alternatively, the perforations mean that they can be torn off and used as individual pads to avoid material wastage. 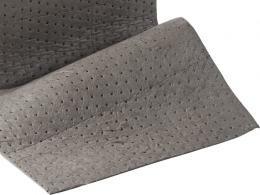 The maintenance absorbent rolls come in black, helping them to mask stains and dirt for a longer period of time. We will match any price and can deliver within 5-7 working days, offering a one-year warranty. This versatile and adaptable absorption solution makes a great addition to any worksite, so place your order today!